Nobody looks forward to Tax Day. More people should. Tax Day is a great opportunity for restaurant deals and promotions. 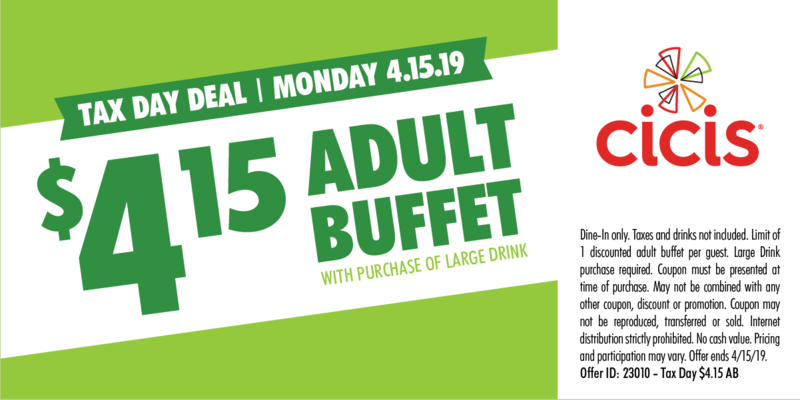 Cici’s Pizza is offering their adult buffet for just $4.15. Just present this coupon to your server and get the deal. Regular price in my area is $5.99, so this represents savings of 30%!